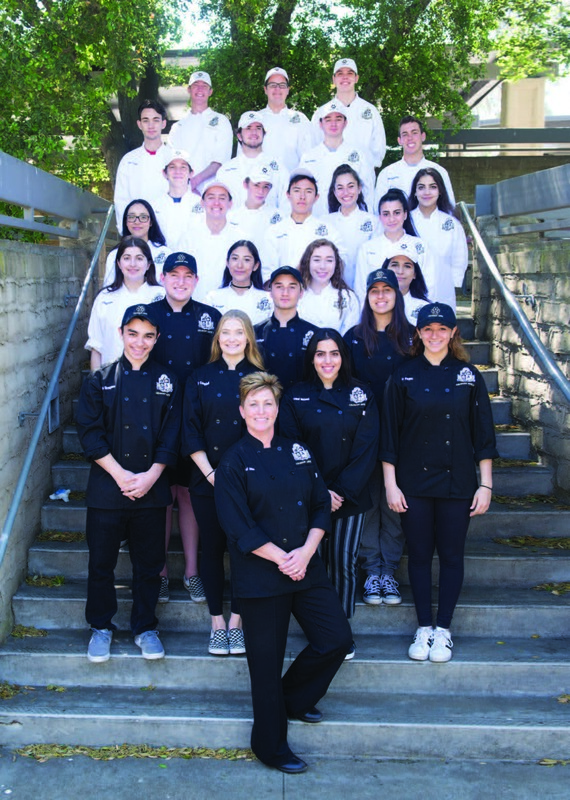 There’s something sensational brewing at Calabasas High School. 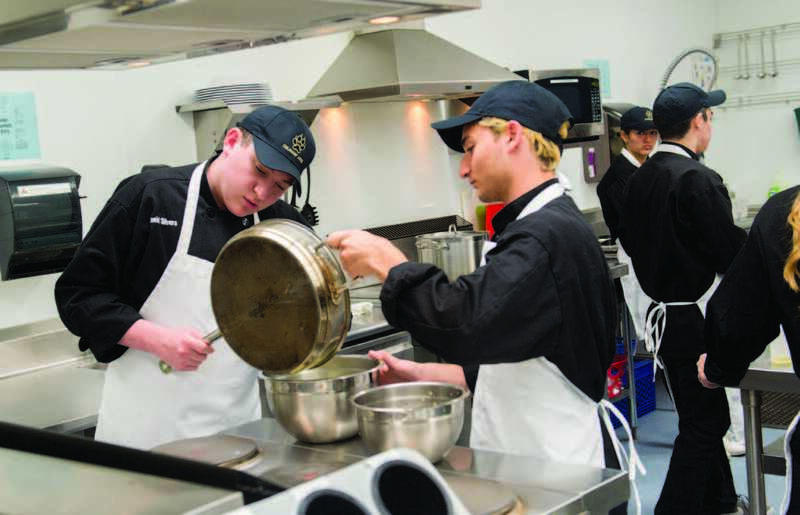 Since 2005, Chef Kerrie Allen has trained students to cook. 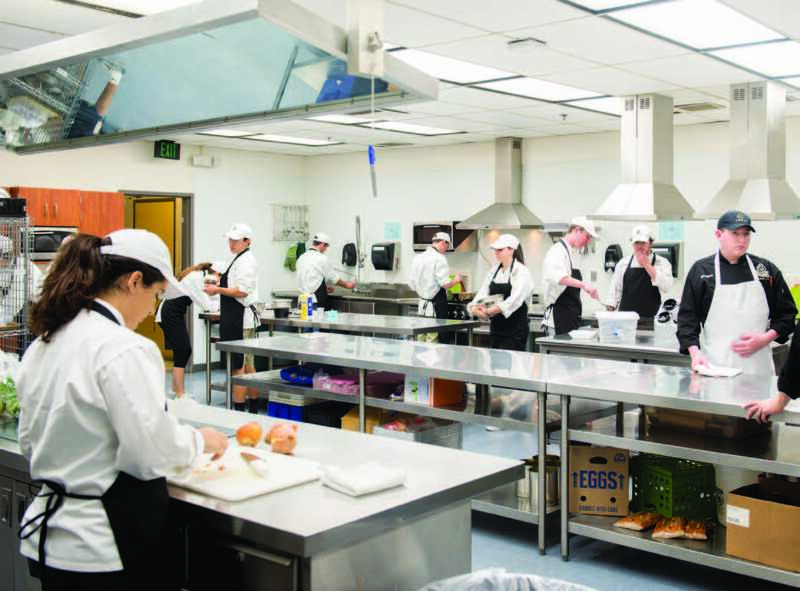 What began as a single course has blossomed into a three-year food and beverage production program that gives students a deeper taste of teamwork and the ABCs of the culinary world. Each class offers curriculum geared towards students at different skill levels. Beginners, for instance, learn all about egg basics and omelets, while level-two pupils make quiche and crème brûlée and third-year students create sweet and savory soufflés. The week’s lessons are showcased on Mondays. On Tuesdays and Wednesdays, students learn new recipes and watch cooking demonstrations. They then prepare these dishes on Thursdays and Fridays to share with the class.